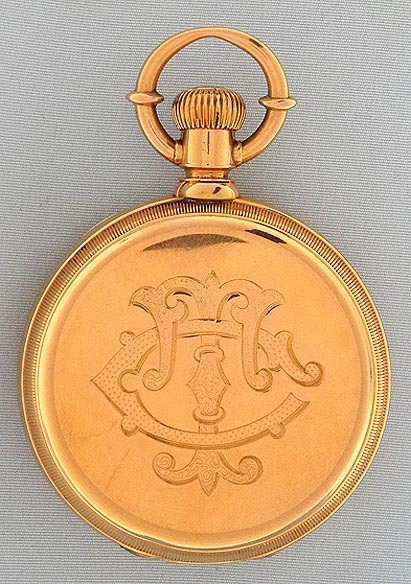 Fine and scarce 18K Lange 1A antique pocket watch circa 1884. 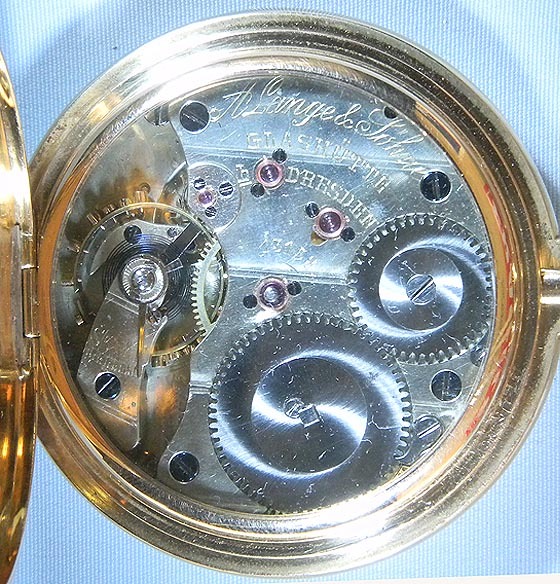 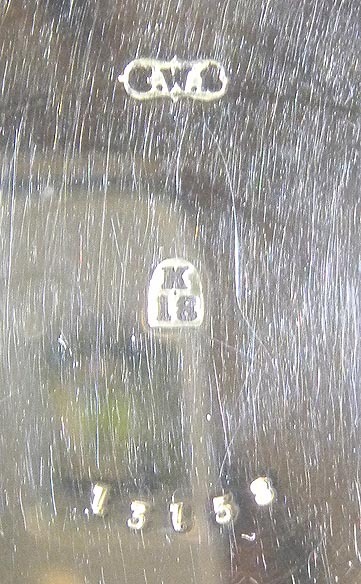 First quality nickel 20 jewel movement #13158 with diamond cap jewel. 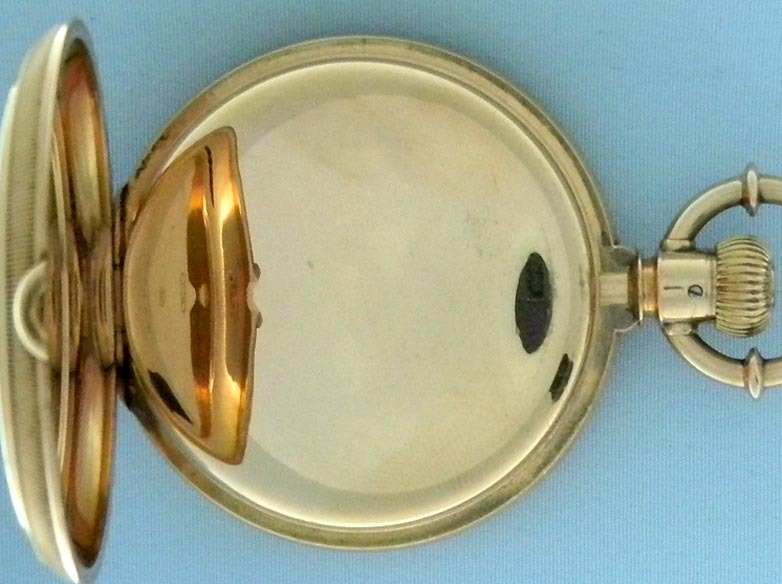 Substantial plain polish case with gold and glazed dust covers. 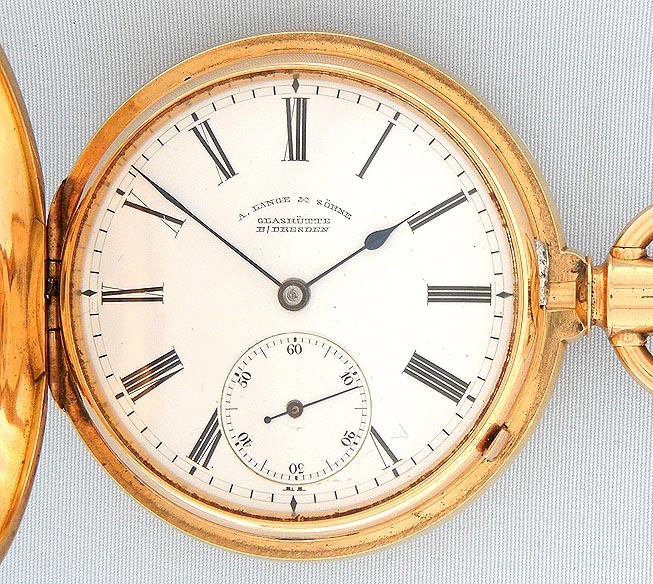 Fine white enamel dial (slight overglaze scratches) with black markings and blued steel hands.